Mitchell, Madi and the rest of the team were absolutely amazing! They made our wedding perfect! They listened to our every desire for our wedding and made it happen! The venue itself is so beautiful! IT is the perfect place to have a wedding! From start to finish, it was a wonderful experience! My son and daughter-in-law were married at Church Ranch Event Center on July 14. From start to finish, it was a wonderful experience! Mitchell and his staff were extremely helpful, professional, and accommodating. When rain delayed the start of the wedding, the staff did an exceptional job of adjusting and putting Plan B into action! 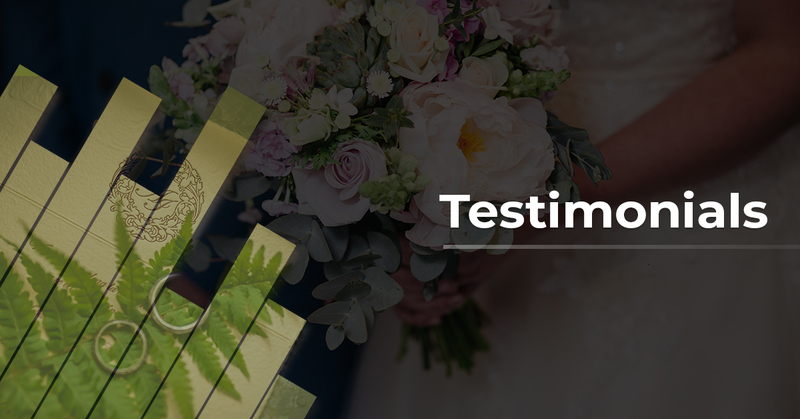 It was a pleasure to work with Church Ranch Event Center and I would highly recommend it as a venue for a wedding or another large-scale event. Well done! thank you so much for everything you did for us to make our wedding day so unbelievable! I wanted to take the opportunity to say thank you so much for everything you did for us to make our wedding day so unbelievable! You guys were amazing to work with, especially the day of, and we had SEVERAL guests come up to us and say that ours was the best wedding they’ve ever been to! They couldn’t stop raving about how amazing and beautiful Church Ranch Event Center was, and I just wanted to say another huge thank you for making it look so incredible for us. You created an unforgettable time for us! My husband and I couldn’t be more pleased with the service, the venue and the overall feel. It was a dream come true thanks to Mitchell, Madi, Erick and the rest of the staff. They all do a great job and truly take care of all your needs and assure that your dream will come true and a decent price. Wouldn’t choose another venue and would do it all over again! !